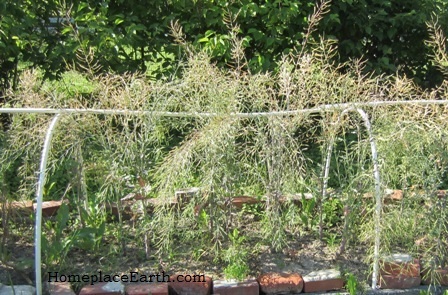 Gardeners who plant from seed, generally have some seed left at the end of the season. Knowing what kind of seed, how much, and where it is stored will help you plan your seed order for the new year. Having an inventory of your seeds could save you money by not buying more than you need, and lessen frustration when it comes time to plant, since you will know what you have and how much. If you store your seeds in more than one place, indicate where your seeds are. For many years, I used a piece of notebook paper for my seed inventory. I listed all the seeds I had on hand and made columns for how much, the source of the seeds, and the year they were bought, or the year saved if I grew them out myself. Remember, that was before computers were routinely used in the home and things weren’t so easily copied. Eventually, I developed a seed inventory form. You can see the heading for that here and you will find the form on the CD that comes with my garden plan DVD. It is also in my book Grow a Sustainable Diet. There is a link in the book that allows you to download PDFs of all the forms shown. Now I print off as many copies of the seed inventory form as I need. This year it was 11 pages! When you save seeds it is easy to accumulate a lot of seeds from different years. A coffee filter was used for this germination test with cowpeas. I try to inventory my seeds before the end of the growing year. This year I managed to get that completed in early December, but if times are busy, it is January before it happens. If you haven’t inventoried the seeds you have, do it now before you order new ones. As you go through your seeds, purge the ones that you know you will never plant or that you know have poor germination. Now would be a good time to do a germination test on the questionable varieties in your stash. If the ones you intend to get rid of pass the germination test, consider taking them to a seed swap, donating them to a seed library, or passing them on to your friends or new gardeners. If they don’t pass the germination test, throw them in the compost or your chicken pen, providing they are not treated, of course. As you can see, my seed inventory has columns for Crop, Variety, Amount, Source, (empty), Don’t Buy, Do Buy, Source, Amount, and $. If you take your time with this form, you could use it to develop your seed order as you go. The Don’t Buy column is probably not necessary and you could use that space for something else. The column I left empty is sometimes used to record the days to maturity of the variety. It facilitates garden planning if that information is at your fingertips. That column could also be used to record the germination rate, if a germination test is done that year. If you know you are short on something, check the Do Buy column. Later you can go back, armed with your seed catalogs, and put in the amount of seeds you will need to buy, where you will get them and how much they will cost. Imagine, all your seed records in one place! I list the vegetables, then the flowers and herbs, then the grains and cover crops. Each section has the crops in alphabetical order, making it easier to find things later. Each variety of a crop that I have seeds for is shown and sometimes I leave spaces for additional varieties that I intend to order. When my seed order comes in, I add those varieties to the crop inventory, and put the new seeds with my stored seeds so everything is in one place. If you don’t get around to actually recording your new acquisitions on the inventory form, put the seed order form in your garden notebook with your seed inventory. The Garden Notebook! I assume you have put together a binder with tabs for your garden map, plant and harvest record sheets, seed inventory, and other important information. My DVD Develop a Sustainable Vegetable Garden Plan takes you through what is necessary to keep your garden records organized. You can refresh your memory be reading my blog post Keeping Garden Records. I refer to my seed inventory throughout the year. It is easy to forget what you have. A seed inventory helps to ensure that the seeds you have purchased or saved will get planted. The seed catalogs have arrived and can be alluring, causing you to order more than you need. Before you order seeds, make your garden plan for the year so you will know just how much you need of each crop according to the space in your garden. Actually, I begin planning my garden in the fall for the coming year so that I know which cover crops go where, in preparation for the main crop in the spring and summer. Start wherever you are and go from there. Wishing you well on your 2017 gardening year. Good news for seed libraries! In July 2016 the American Association of Seed Control Officials (AASCO) added an amendment to the Recommended Uniform State Seed Law (RUSSL) to exempt seed libraries and other non-commercial seed sharing initiatives. The RUSSL is the guide that state legislatures look to when setting their own seed laws. The AASCO is made up of seed control professionals from each state department of agriculture. Making this amendment a reality is the result of work done by a committee composed of representatives from AASCO, the American Seed Trade Association, seed librarians, and others active in the seed world. Granted, this doesn’t mean it is a part of all state seed laws now; however this recommendation will influence those seed laws. Minnesota, Nebraska, Illinois, and California have already passed laws exempting seed libraries from their state seed laws. Sometimes it is just a matter of interpretation when applying the existing laws. The Pennsylvania Department of Agriculture has now decided that seed libraries and other non-commercial seed exchanges are exempt from regulation without requiring an act of congress. What it did require is action by a statewide group led by the Pennsylvania Association for Sustainable Agriculture (PASA), Grow Pittsburgh, the Public Interest Law Center and members of the Pittsburgh Food Policy Council. Individuals and other organizations were also involved in this effort to work with the Pennsylvania Department of Agriculture to change their interpretation of their seed laws, which is all very interesting because it is their original interpretation that brought up the issue of seed libraries being in violation of state seed laws in the first place. I am the author of Seed Libraries and Other Means of Keeping Seeds in the Hands of the People, published by New Society Publishers in early 2015. During the year I spent writing that book, I tracked down every seed library I could find evidence of for information. Although much of this work was done by computer, I was able to physically visit some of them. My years of experience as a seed saver contributed to the book, also. Seed libraries were popping up all over the country and changing constantly. I contacted all the seed libraries I wrote about to confirm my information. As much as I found out about seed libraries, nowhere was there any mention about their legality until just before I sent my finished manuscript to the publisher. In late June 2014 I started receiving emails about the Simpson Public Library in Pennsylvania being approached by the Pennsylvania Department of Agriculture and told that it couldn’t distribute seeds as planned, which is the same plan that I had written about. You can find more about that in my post Seed Libraries: Challenges and Opportunities. The world of seed libraries was in an uproar. I included an afterword in the book to address the situation, being pretty sure that things would settle out, and they seem to be doing that, but not without the efforts of seed library activists. You can find more information about the Simpson Seed Library and their legal issues on their updated webpage. What does this all mean for seed libraries in states that haven’t exempted them from the state seed laws yet? To answer that question I consulted Neil Thapar, food and farm attorney with the Sustainable Economies Law Center. I met Neil at the International Seed Library Forum in Tucson, AZ in May 2015 and he has been at the forefront of the effort to work through the legal issues of seed libraries. Neil and I both agree that you should proceed with your seed library plans, but to be 100% sure that your seed library will not be challenged by the laws in your state you would need to contact the Department of Agriculture in your state. It may be that there is no issue with seed libraries because of how the existing seed laws are worded. If it is questionable and you are told there is nothing to worry about, get that in writing. There are actions currently being taken in some states to have the AASCO amendment on seed libraries adopted. If you use the AASCO amendment as a guideline for your seed library I would think you should have no problems. Do check with your state if you have concerns. Seed libraries should communicate with each other, particularly ones in the same region. Join The Seed Library Social Network. The seed library movement is so much more than just the sharing of seeds. It is the celebration of seeds. I see education about seed saving and sharing to be the most important aspect. No matter how many seeds you distribute, if those who receive them don’t grow them and save the seed properly, you are not moving forward. With enough education and celebration about seeds, growing and saving them will follow naturally. For more ideas on forming a seed library and keeping it going, consult Seed Libraries and Other Means of Keeping Seeds in the Hands of the People, which is sale-priced at Homeplace Earth through January 1, 2017. Happy seed sharing! Butternut Squash–sometimes squash flowers are taped shut after fertilizing. Saving your own seeds is a wonderful thing to do, but it is something you should plan for early in the growing season. If you know you will be saving seeds, make sure the varieties of each crop you will be saving from do not have a chance to cross pollinate with other varieties of the same crop. There are charts online and in seed saving books that give isolation distances for each crop—the distance varieties must be separated to avoid cross pollination. The distance might be shortened if there are barriers present, such as trees or shrubs and solid fences. Having a hedge as a boundary around your garden would decrease the distance you have to be from your neighbor’s garden to avoid cross pollination. You could use time as an isolation method. Plants that have a limited blooming period can be managed so that the flowering of different varieties doesn’t happen at the same time. For example, on the same day you could plant two varieties of corn that have at least two weeks difference in their dates to maturity. The pollen from the first variety will have finished by the time the pollen is released from the later maturing variety. Or, you could plant two varieties of corn with the same dates to maturity, but space the planting times two weeks apart. Some growers resort to using bags or screened cages to keep their crops from cross pollinating and some even resort to hand pollinating. Hand pollination is sometimes done with flowers in the squash family—the cucurbits. I’ve never had the patience to watch for female flowers to open, then pollinate them with pollen collected from the male flowers of the plant. The fertilized flowers would then be taped shut. If I intend to save seeds from squash crops I only plant one variety in each species in the genus Cucurbita. Although there are six species, I’ve only encountered four: Cucurbita maxima, C. mixta, C. moschata, and C. pepo. You can grow one variety of each species at the same time without worrying about cross pollination. A good seed catalog will indicate which species a squash variety belongs to. Have goals in mind for what you are selecting for. When you are first starting out you might be happy to save any seeds at all. Collecting from as many plants as possible will give you a broader range of genetics; however, you might want to select for certain traits, such as earliness, lateness, taste, shape, size or color. 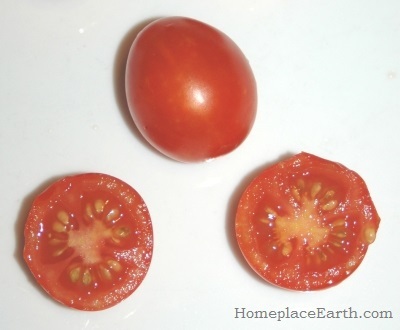 If you save seeds from the plants that produce the first tomatoes of the season, you are selecting for earliness. Those plants may or may not be the same plants that produce tomatoes the longest into the season. Pay attention to what drives you to choose the plants to save from. Sometimes you will notice a plant that is doing exceptionally well, but it is not the right time to save seeds yet. Tag that plant that has the characteristics you want to preserve so you can identify it when the right time to save seeds occurs. When tomatoes and peppers are harvested at full ripeness for eating, their seeds are mature and can be readily saved. 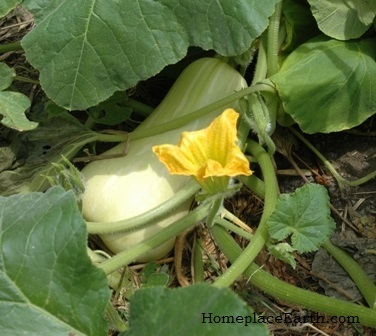 For summer squashes and cucumbers, you would need to leave the vegetables on the plant until they are overgrown and way past the time to harvest for eating. Still other crops need to be left over the winter, saving the seeds when the plants flower the following year. The extra time for these plants to be in your garden needs to be accounted for in your garden plan. Red Russian kale gone to seed. The kale and collards you might have harvested for food for the table through the winter will be vacating your garden bed in March when they begin to bolt. However, if you are saving seeds from them, they may occupy that space until June. Only let one variety of cabbage family plants flower and go to seed at a time to avoid cross pollination. Before the variety you are saving from begins to flower, you should have begun to choose which plants you want to save seeds from. Most likely, the first to flower won’t be among your choices, nor will the plants that produced the least foliage to harvest through the winter. Pulling those plants out first leaves more room for the others and is part of the selection process. Seed saving is a way to deepen your gardening experience and is an adventure that you can share with others through your neighborhood seed library. If your seeds are destined to be shared through a seed library, you will want to make sure that what you are sharing is what you say it is and hasn’t cross pollinated with anything else. If you don’t have a seed library in your neighborhood you may want to start one. You will find guidance for that project in my book Seed Libraries and Other Means of Keeping Seeds in the Hands of the People. Seed libraries have been evolving at a rapid pace. Those who have been involved in that evolution will be coming together to study the issue at the First International Seed Library Forum in Tucson, Arizona, May 3-6. I’m looking forward to being one of the panelists for that event. You never know where your seed saving hobby will take you. 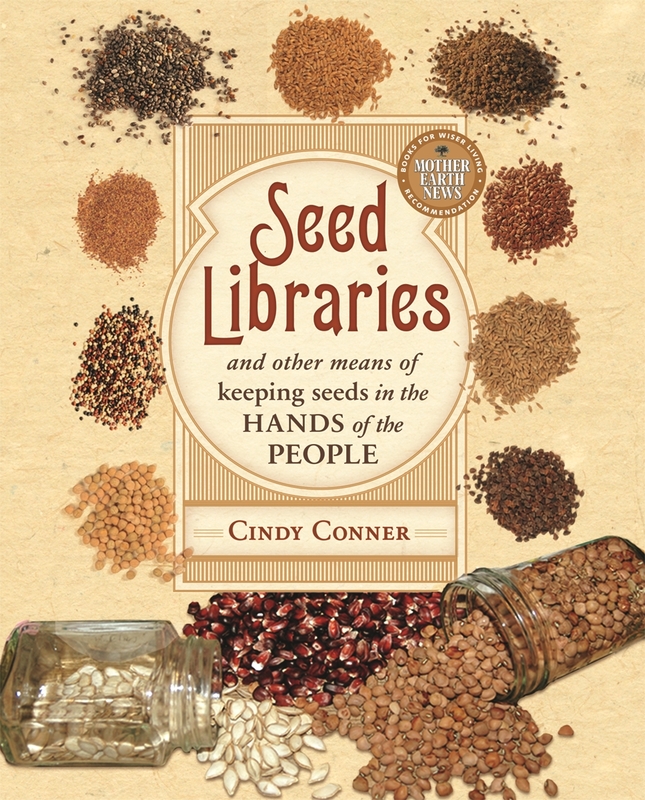 Seed Libraries: And Other Means of Keeping Seeds in the Hands of the People has arrived! Homeplace Earth is well stocked and ready to fill orders with signed copies. Writing this book has brought me in touch with wonderful people all over North America who are making a difference in their communities by setting up programs for saving and sharing seeds. You will meet them in the pages and learn what they did and how they did it, giving you ideas to follow their lead with your own program. Don’t really understand what the big deal about seed is? Seed Libraries will take you through how our society went from one of independent seed savers to a society dependent on corporations for its seed needs and the danger that looms if we don’t take action to change now. The reasons you should save seeds are discussed, such as preserving genetic diversity, flavor and nutrition, unique varieties, and cultural heritage. Other reasons include growing to seed to attract beneficial insects, saving money growing your own seeds, and learning new skills. It is always good to learn something new and seed saving will make you a better gardener. Seed libraries are often located in public libraries. You will learn just how much these institutions have to offer. Having a seed library located in a public library is good for community access and good for a public library that wants to expand its programs and stay relevant to the community it serves. Whether a seed library is located in a public library or elsewhere, often it is in partnership with other groups. You will find examples of some of these groups and their projects in this book. Mississippi Silver cowpeas with 80% germination. Two days later they achieved 100% germination. You need seeds to start a seed share program and you need to take care of them. Where to find seeds to start, how to take care of them, and how to do a germination test to make sure the seeds are still viable is all covered. You also need people supporting your project. You will discover who would be beneficial to have on your committee and how to form a mission statement. A mission statement is one of the most important things you can have to define your project to others. How to package the seeds, sign up seed-sharing members, and how to educate your members so they will bring back healthy seeds that haven’t cross pollinated with other varieties is all in the book. The plight of seeds is so important that everyone should be aware of seeds, not only the seed savers. This book is loaded with ideas to celebrate seeds throughout the year, keeping the excitement and momentum going for all involved. Not all seed share programs take the form of organized seed libraries. 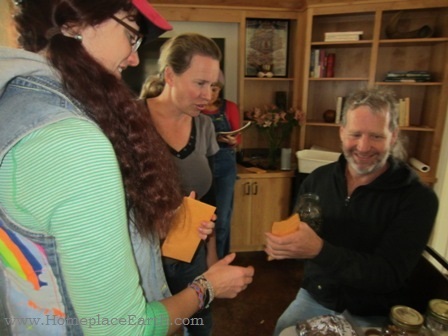 Sometimes it starts with friends saving and sharing seeds among themselves and grows to public seed swaps. In fact, seed swaps are good ways to become acquainted with sharing seeds and are a good prelude to a seed library. You can use the ideas in this book to organize your own seed swap. If you are already involved in a seed library, the ideas in Seed Libraries will help to energize your project. There is so much to know and think about and this book puts it all together in one place, making it easier for you to have the information at hand, and easier to explain it to others that you want to involve in your project. Just give them a copy and you can discuss the issues together. Links to Internet resources are listed, giving you access to the helpful materials there and keeping you up-to-date on the changes that seed libraries are experiencing as these new seed sharing programs continue to evolve. We are living in exciting times and I invite you to be part of the positive changes that are coming in our society. I hope you like the book! UPDATE: In Seed Libraries I wrote about Sascha DuBrul being the one to come up with the idea for the first seed library. In his blog post http://www.mapstotheotherside.net/history-of-seed-libraries/ he tells the back story of that time. Keep reading to the end and he posts what I wrote about him in the book, which will help you to understand his story. You never know what will happen to your ideas when you follow your heart–and being a little crazy is not necessarily a bad thing. Seed Swap table at VA Biological Farming Conference. The terms Seedy Saturday and Seedy Sunday were not in my vocabulary until I was doing research for Seed Libraries and Other Means of Keeping Seeds in the Hands of the People. Seedy Saturday usually referred to an event in Canada and Seedy Sunday usually referred to an event in the United Kingdom, but not always. Seedy Saturdays, Sundays, or any day actually, are events that celebrate seeds. Seed sharing occurs there through vendors selling their seeds or individuals offering them for trade or give-away. You might also find presentations about seeds and gardening from people in the know, and maybe food for sale and music to enjoy. The first Seedy Saturday occurred in Canada in 1990. It was a day of speakers and vendors. Sharon Rempel came up with the idea and was helped by her friends Roy Forster, Cathrine Gabriel, and Dan Jason. The goal of that day was to get the heritage varieties of seeds grown by home gardeners trialed and evaluated regionally, and a core collection of regionally adapted vegetables, fruits, and grains conserved and exchanged annually. Agronomists from the University of British Columbia were among those at the event. Seeds of Diversity Canada maintains a list of current seed sharing events here. You can find information about such events in the UK at www.seedysunday.org. Guidelines for how many seeds to take. With additional events scheduled besides seed sharing, Seedy Saturdays and Seedy Sundays in Canada and the UK are more than just seed swaps. It is likely that you may find very small seed companies there, as well as large well-known ones. Each seed event is operated a little differently. What I am most familiar with are seed swaps that are part of a larger event where seeds are not the main topic. 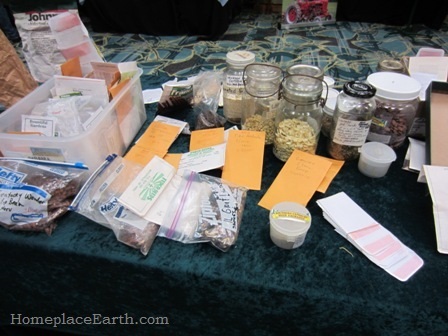 I have participated in seed swaps when I have attended the Heritage Harvest Festival at Monticello, the Virginia Biological Farming Conference, and the Mother Earth News Fairs around the country. These swaps are sponsored by Southern Exposure Seed Exchange (SESE). At the Mother Earth News Fairs, additional sponsors may be High Mowing Seeds, Organic Seed Alliance, and Seed Savers Exchange. A table is set up, covered with a nice cloth, and seeds and supplies are set out. It begins with seeds that SESE has to share, but is open to seeds anyone else wants to offer for free. Conference and Fair goers can help themselves, within limits, of course, without contributing seeds of their own. There is a list of guidelines to help you decide how many to take. Here in the U.S. the last Saturday in January is designated as National Seed Swap Day. You can find a list of seed swaps around the country here. If your seed swap is not on the list, consider having it added so others in your area can find you. Seeds are foremost in the minds of gardeners in January. The seed catalogs have been arriving for weeks and you have begun to make up your list of things you want to order. However, you need to know what you already have before you order more seeds, or acquire them in a seed swap, so take an inventory. In my book Grow a Sustainable Diet there is a link to worksheets, one of them for a seed inventory. That form is also on the companion CD that comes with my Develop a Sustainable Vegetable Garden Plan DVD. I designed it with columns for information I like to refer to, but actually, you can make an inventory by writing down on notebook paper what seeds you have on hand and how much of each variety. I did it that way for many years. Joseph Lofthouse sharing his seeds at Seed School. When you inventory your seeds you may find that you have too much of something or that you have seeds for things you will never get around to planting. 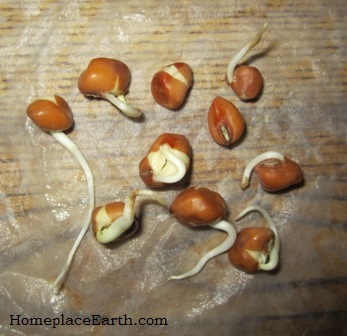 If you have some of these extra seeds, check their germination rate, particularly if they are a few years old. If they are still viable, you have something to share and you could pass them on to someone else at a seed swap. Here in the U.S. we have opportunities to share seeds all year long through seed libraries, without waiting to attend a seed swap. Seed swaps, by the way, don’t have to be once a year events. They can be scheduled as often as you can find people who are interested in coming. Whether you are planning on participating in a seed swap or a seed library, you will find great information to help with those activities in my upcoming book Seed Libraries and Other Means of Keeping Seeds in the Hands of the People. 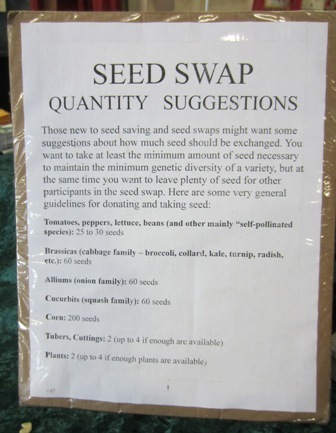 If there are no seed swaps or seed libraries in your neighborhood, consider starting one. You could get together with friends to share seeds and grow your event from there. The more we share our seeds with others, the more we are ensuring that they will stay a part of our community food systems. Like love, the more you give it away, the more it comes back to you. My newest book, Seed Libraries and Other Means of Keeping Seeds in the Hands of the People, will be available soon. My publisher, New Society, tells me that it is now at the printers. Beginning in January 2015, you can order Seed Libraries through Homeplace Earth and it will ship as soon as we have copies, which may not be until the first week in February. In celebration of this newest book we are offering Free Shipping within the continental US on all book and DVD orders for the month of January. All books ordered through Homeplace Earth are signed copies. Seed Libraries has come on the heels of Grow a Sustainable Diet and it has been quite a journey. Just so you know, there are no new books planned on the horizon. Writing these books has been a grand adventure, but I do have a lot of other projects to catch up on and a garden to tend. Grow a Sustainable Diet grew out of the work I had been doing for many years. Writing Seed Libraries was a different experience. I had to reach out of my comfort zone and explore the work others have been doing. Besides reporting what I found, I identified common areas that need to be addressed if a group was to start a seed library and be successful. (I believe it needs to be more than one person from the get-go.) Being a seed saver myself, I am aware of the pitfalls that may arise when organizing and maintaining a project such as a seed library. My suggestions will help my readers foresee challenges and move forward smoothly. Besides the mechanics of starting a seed library, this book promotes celebrating seeds any way you can. My post Start a Seed Library will give you suggestions for getting started. However, there is so much more to it than setting up the program. You want to engage your seed savers through the whole year. In addition you should want to engage the public. Even if someone isn’t a seed saver, they can learn about what you are doing and become a supporter of the movement to keep the seeds in the hands of the people. Otherwise, corporations will have control of all the seeds and whoever controls the seeds controls the food supply. Celebrate seeds anyway you can. Saving and exchanging them, of course, is what a seed library is about, but you can also celebrate seeds with art and music. Promote books that refer to anything about seeds and gardening, eating locally, preserving genetic diversity, etc. Post photos and artwork that show plants going to seed. Sing about seeds and the wonders of nature. Take a holistic approach to seed saving and make it as much a part of your life as you can. You will find yourself thinking about where the seeds came from to produce whatever you are eating. Plant gardens in your community for the purpose of saving and sharing seeds and plan educational programs around it. If not a whole garden, this year learn to save seeds from a few of the crops in your garden. If you are new at this, begin with one crop. Make it your focus and study everything there is to know about that crop to go from seed to seed. Once you have learned about that, share your knowledge and seeds with others. Seeds are very flexible and will adapt to the ecosystem where they are grown. When you save them yourself you are naturally producing seeds that are acclimated to your community. Seed libraries can be set up as seed sharing programs in public libraries and, since public libraries are already community centers, it makes sense to do that. However, seed sharing programs can take many forms and can happen in many different places. In Seed Libraries I’ve given you examples of that. If you are already a seed saver, or if 2015 is your year to delve into seeds, use this book to help you make a difference with others. If you haven’t finished your Christmas shopping yet, and you have a seed saver on your list, print this post and give it with a promise of ordering the book in January. Seed libraries are exciting ways for people to come together to preserve and develop varieties unique to their region, thus ensuring a resilient food system. We are past the winter solstice and each new day will bring a little more light. In this busy holiday time, take a moment to notice and enjoy the new light. Bill McDorman teaching at Seed School. Belle Starr is on the left. Bill and Belle founded RMSA after three years with Native Seeds/SEARCH. Native Seeds/SEARCH (NS/S) is the go-to place to find seeds native to the Southwest. There are educational programs at NS/S, but the emphasis is on the seeds—preserving them, growing them, and sharing them. The emphasis at RMSA is on education. Through education there will be more people and organizations available to do the preserving, growing, and sharing work. Germination test with 100 seeds. Information covered at Seed School included, but was not limited to, seed breeding, germination testing, harvesting and processing, seed libraries, and seed enterprises. Although seeds can stay viable for many years, it is good to know the germination rate to know how much to plant, particularly if you are sharing them with others. The germination tests I do at home are done with only 10 seeds at a time and are sufficient for my own use. This summer a new seed library in Pennsylvania was challenged by the PA Department of Agriculture and asked to conform to the same laws that govern seed companies. One of the requirements was to have germination tests done–the kind that require 100 seeds to be tested at a time. I don’t believe that is necessary for a seed library, but the test is actually something you can do at home. 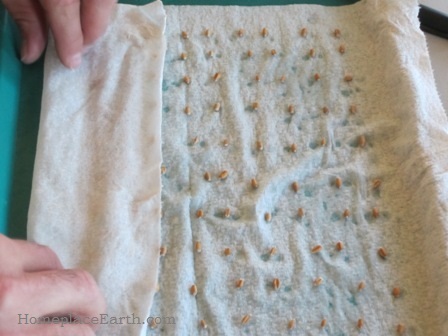 Put 100 seeds on a damp paper towel, roll it up and keep it moist for a few days, then check it again. We did that at Seed School using wheat seed. Whether you are using 10 seeds or 100 for your germination tests, it is a good activity to do with volunteers if you are involved with a seed library. You receive valuable information to pass on with the seeds and your volunteers receive valuable experience, not to mention the camaraderie that develops with people working together. We visited a USDA lab and a native plant nursery. Everyone we met was passionate about their work. The nursery produced most of the native plants that were installed in the region regardless of which company or government agency was the local supplier. So much for diversity of sources. Likewise, there are fewer sources of organic seed than you might think. Seed companies don’t necessarily grow all the seeds they sell and some don’t grow any. High Mowing has always only sold organic seed. According to their website, although they grow more than 60 varieties themselves, other varieties are supplied by growers in the Northeast, the Northwest, and from large wholesale organic seed companies such as Vitalis Seeds, Bego Seeds, and Genesis Seeds. You could be buying organic seeds that weren’t even grown in this country, let alone in your region! It does make you think. Companies that do not limit themselves to organic seeds could also be sourcing seeds from Seminis, now a subsidiary of Monsanto. When Monsanto bought out Seminis, Fedco Seeds decided to cut ties with Seminis—a big step for any seed company at the time. You can read here about the current state of our seed supply in the words of CR Lawn of Fedco in a talk he gave in February 2013. 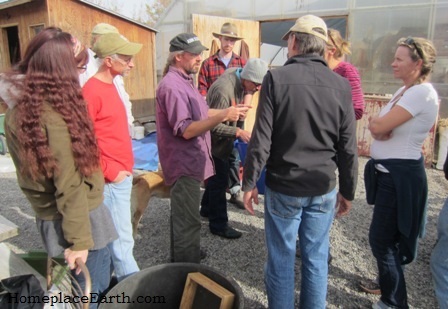 Don Tipping of Siskiyou Seeds in Williams, Oregon was one of the presenters at Seed School. The home farm of Siskiyou Seeds is Seven Seeds Farm where about 60% of the seed for the company is grown. To offer more diversity in the catalog, Siskiyou looks to other growers, many in southwest Oregon. A description of each of those growers is in the catalog and each variety of seed offered shows the source of the seed in the description. Siskiyou turns to High Mowing for some of their varieties, but you know which ones were bought from that wholesaler from the catalog descriptions. Seven Seeds Farm is part of the Family Farmers Seed Cooperative, a “new approach in seed security through supporting the development of bioregional seed producing hubs linked with a national marketing, breeding, and quality assurance program.” Closer to my home is a similar cooperative– Common Wealth Seed Growers—made up of my friends at Twin Oaks Seed Farm, Living Energy Farm, and All Farm Organics. At Seed School I met Luke Callahan of SeedWise, which is an online marketplace that provides a way for home gardeners to connect with very small seed companies. Common Wealth Seed Growers is listed with SeedWise. In 2003 and 2004 I attended a series of workshops organized to educate seed growers in the Southeast region of the US. It was part of the Saving Our Seed initiative. One of the results of that project was the seed production manuals for the Mid-Atlantic and South and for the Pacific Northwest that you can freely access online now. Southern Exposure Seed Exchange is the main market for seed growers in my region, but the growers here sell to other companies, also. At the time I wondered what would result from those workshops. I knew many people present and didn’t imagine them rushing out to grow seeds for Southern Exposure anytime soon. Well, a decade has passed and a network of growers has developed. My daughter even grew seeds for Southern Exposure this year! If you are concerned about the source of your seeds (as you very well should be), learn to grow your own or buy from small growers in your region. We can’t change the world overnight, which would result in chaos anyway. But, with each action we take we send out ripples that can result in a lasting, positive change. 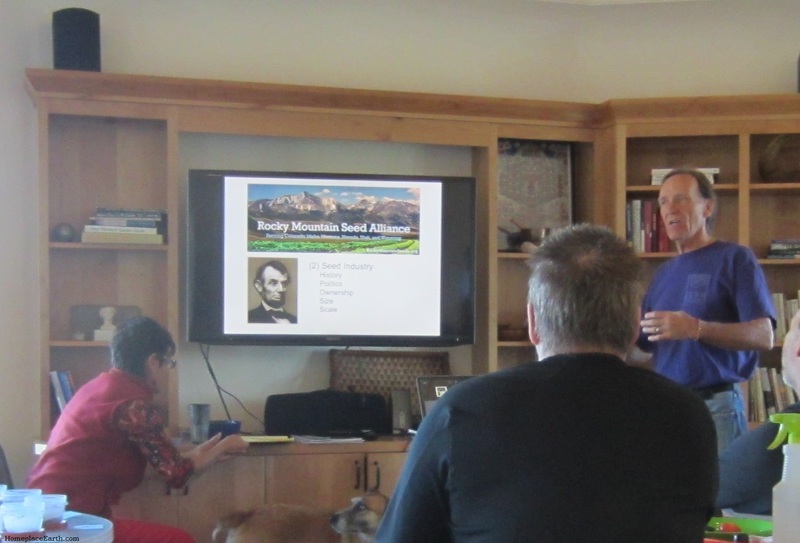 Seed School at Rocky Mountain Seed Alliance produced some ripples that I know are going to make a difference in keeping the seeds in the hands of the people for years to come.